This is my FREE gift to you. 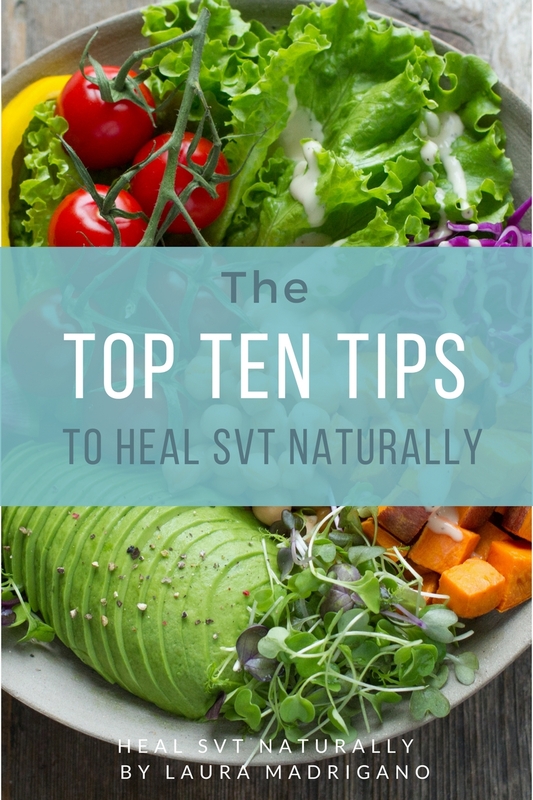 My Top Ten Tips to Heal SVT naturally is an easy to read e-guide listing the top ten things you can begin to do immediately to help yourself reduce SVT. 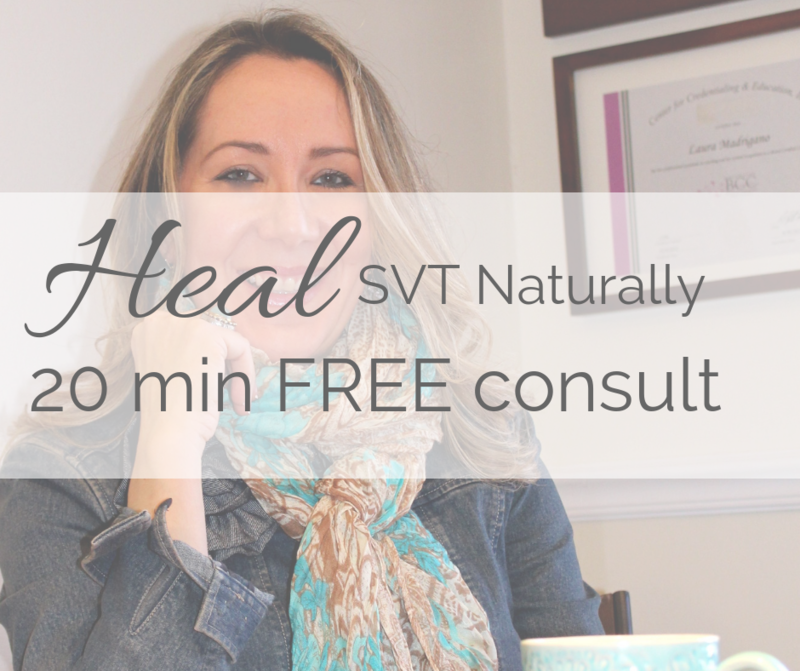 Available and emailed to you immediately when you sign up to be a part of my Heal SVT naturally email list. I email you aprox once per week or once per month with all the links to my blog posts, healing inspiration and relevant information. 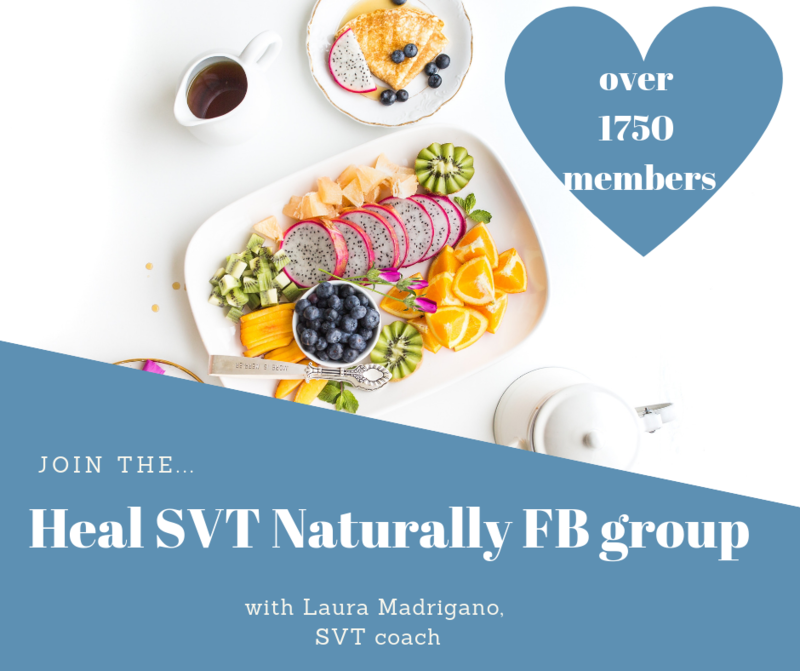 The private Heal SVT naturally Naturally Facebook group is a group of over 1750 people with a shared interest in healing SVT naturally from around the world sharing information and support. To gain access to this group click on the link below and answer the 3 questions to gain access to the group. Do you have a question for me? Want to get in touch? 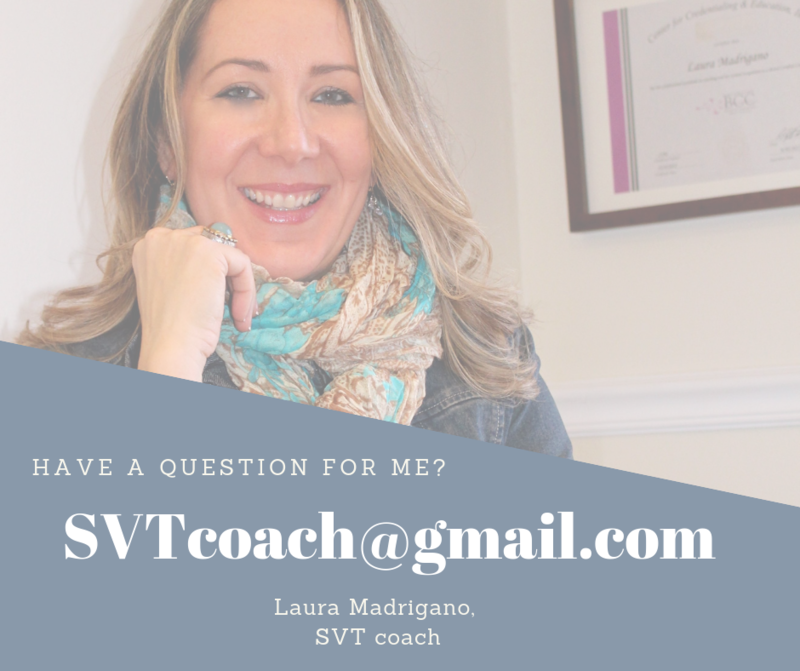 Want to submit a question that I answer in my weekly ASK Laura Q + A….submit it to me at SVTcoach@gmail.com. This is also how you can contact me to learn more about my private or group coaching. This is the link for people to book their 20 minute meet and greet who are authentically considering hiring Laura as their private Integrative Nutrition Health Coach. This link is NOT for private questions, or to discuss your personal SVT case. Those are discussed after a full health history and 7 day tracker is paid for and submitted. Please VIEW the MY SVT Services page HERE, and read through the details of the private 3 month coaching to be sure if you are serious about making this type of commitment. Coaching is a major investment in your health and future and is not for everyone. If you cannot afford to hire a private coach, there are OTHER options to work with me. Please consider the group coaching, e-guides and peer support FB group along with my FREE articles, resources pages, and you tube channel. I ONLY do free consults via VIDEO chat. This can be done from anywhere in the world. I DO NOT under any circumstances, do phone calls. ONLY VIDEO. These can be done via FB video, skype video or ZOOM. Every week you will receive articles, invites to classes, motivation, and inspiration to help you heal SVT naturally and live a life of SVT prevention.